teaching academies and group golf travel tours. With Ian Scott-Taylor, as chief architect, it gives the firm a solid grounding in old school theory. Scott-Taylor is a traditionalist. 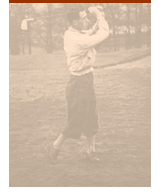 He is committed to preserving the values set originally in the game of golf. Having played on all the famous British and Irish courses he brings a unique perspective of design to the client. The practice opened its doors in 1991, based in North Wales in the United Kingdom. While enjoying a successful career in the UK he felt there was an opportunity in the USA for this classical style of architecture and therefore relocated to the Maryland Eastern Shore in the late 1990’s. The projects that we have completed since coming to the USA showcase the combination of modern technology and old-world design. Collectively, we have completed over fifty projects around the world in sixteen countries – including the home of golf in the United Kingdom, Turkey, the United Arab Emirates, and the United States of America. Together with our skilled staff; the golf course shapers, architects and operators combine to produce some of the most unique and classic designs since the days of Donald Ross and Alister MacKenzie. From new courses to renovations, Ian Scott-Taylor Golf Architect LLC does justice to the ideals of the great architects that came before to preserve the great game we call golf.